When you’re considering buying a second-hand car, there are many factors you can bring into play to help guide your choice. But if you’re likely to own the car beyond its third birthday, you’ll need to think about its chances of getting a clean bill of health when the time comes for its first MoT test. The MoT Test is a yearly examination for all vehicles, which is a legal requirement once they are three years old. It was introduced in 1960, and initially was intended to be taken by vehicles aged 10 years old or more. However, it was soon apparent that a large proportion of vehicles were failing the test, and within a year, the age at which vehicles first had to be tested was reduced to seven years. The following year it became a legal requirement for an MoT certificate to be in force before a vehicle could be taxed. It was only in 1967 that the test became mandatory for all vehicles over three years old. In attempts to both counter the increasing incidence of MoT certificate fraud, and to reflect the changing nature of vehicle technology, the testing system was radically overhauled in 2012. Each vehicle which passed the test is now given a unique reference number, through which checks can be made on that vehicle’s test history on the Driver and Vehicles Standards Agency (DVSA) website. The DVSA’s computer records are also now linked with those of the Driver and Vehicle Licensing Agency, or DVLA, the body responsible for administering the system of paying for vehicle excise duty, or ‘road tax’. This has taken away the need to produce a copy of the MoT test certificate when renewing this, and has coincided with the government overhauling its systems for administering these procedures, making it easier for this to be done online. Which Cars Are More Likely To Get A ‘Pass’ First Time? Motoring organisations such as the AA and RAC publish data based on the records of vehicles taking the MoT test. Typically of statistics of this kind, these can be used to draw almost any conclusion. The only solid finding which can be drawn is that the younger the car the more likely it is to pass the test. In a list of the 50 cars with the highest MoT pass rates; expensive, luxury and performance cars are disproportionately represented - mainly because their owners tend to use them less, and treat them with far more care. Motoring website HonestJohn.co.uk has produced a list of the 50 cars with the highest rates of test passes, providing a year-long snapshot showing whether a sample of models were, in general, more likely to pass the test. Many models achieved pass rates of 75% or higher, but because of the wide diversity of the numbers of each model on the road, the researchers only took into account models which had undergone more than 5,000 MOT Tests in the year reviewed. Right at the top of the list was the Toyota iQ - and if you haven’t heard of this model, you’re forgiven, as it’s a small two-seater rival to the Smart, meaning that it's hugely more popular in big towns and cities than more rural areas. Third was the Porsche Cayman. Its figures flagged up the common problem of tyre wear, which leads of MoT failures in high-performance cars. As more power is fed to the wheels of this and other similar cars, the tyres take the brunt of all that grunt, resulting in them becoming a common reason for an MoT failure. Audi A5 (84% pass rate). On sale in the UK since 2007, the results for the A5 were interesting in that original models achieved a similar pass rate of around 84%, to those which were submitted for the test for just the first or second time. Like the Porsche model mentioned above, tyre wear accounted for a high proportion of failure notices, which could again be linked to the fact that they feel the force of a series of pretty powerful engines. Toyota Auris (82% pass rate). The replacement for the worldwide best-selling Corolla had lots of hopes riding on it when launched in 2007 and, over the ensuing years, it seems to have lived up to Toyota’s reputation for building long-lasting cars, even if it hasn’t quite seen the sales success of its predecessor. Toyota Prius and BMW 1 Series (equal 81% pass rate). Both these cars’ appearance so high up on this table is a sign that they are solidly built and have durable engines and other mechanical parts. As far as the hybrid Prius is concerned, even the older models still knocking around tend to have a higher pass rate than most other makes and models of the same vintage. Vauxhall Insignia and Honda Jazz (equal 80% pass rate). This is a good result for two cars which generally have a varied owner profile - Insignias often being relatively high-mileage company cars, and the Jazz being a favourite among older buyers who treat their cars with care and subject them to much lower average annual mileages. The Insignia is helped by the fact that it was only launched in the UK in 2008, giving even the oldest models less time to develop serious faults. The Jazz, in contrast, has been around since 2002, and while the overall pass rate is skewed due to the inclusion of all models, even those of the oldest vintage achieve a creditable pass rate of 60%. Citroen C1 (78-79% pass rates). Under the bonnet identical to the Toyota Aygo and Peugeot 107, all three benefit from simplicity of design, which helps keep down the scope for things to go wrong. Their common roots were also reflected in that they showed up a handful of common reasons for failing the test. If you’re scouting around for your next used car, there are lots of factors you could include when narrowing down your choice. 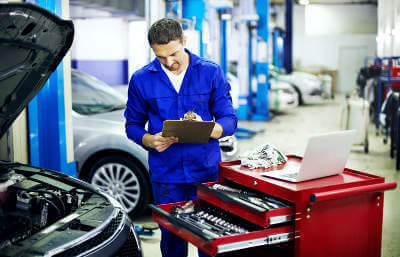 But as our findings demonstrate, when you’re buying a car which is either already three or more years old, or its first MoT will fall due during the time you own it, you can reduce the chances of being landed with expensive repair bills by choosing one of the 10 best performers listed above. For further reading, discover which 8 car parts are most likely to fail your MOT for you.